Hydration is always my biggest concern when comes to skincare routine. I have a dry skin and most of the time I'll be working or doing my personal stuff inside air-conditioned room which is the reason why my skin will easily parch. Until I found Olay Aquaction series products, my life has been made unknown of a 12-hours hydration moisturizer. Here's a video review me and my girlfriends did after trying Olay Aquaction intensive nourishing emulsion and softening sleeping mask. 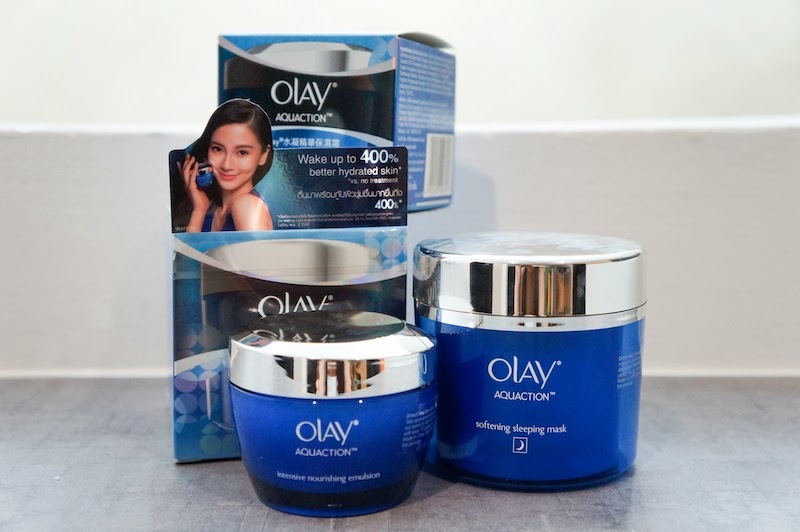 Instead of having only Hyaluronic acid which is the golden standard of hydrating products, both Olay Aquaction products have developed using Hydralock Technology which has scientifically proven to be more powerful than Hyaluronic acid by Olay research team. Its water bonding formula can continuously provide moisture, and keeps skin hydrated all-day long. I'm currently using the emulsion for my daytime skincare routine, and sleeping mask at night. I really love both products that are lightweight texture, delivering 24 hours hydration at the same time not giving a oily feeling after application. Let your skin enjoy long lasting aquaction.